The ratings for the Astros' Game 7 World Series victory were pretty out of this world, but they still couldn't compete with last year's Cubs. Roughly 28 million viewers tuned in to see the Houston Astros win their first World Series title by defeating the Los Angeles Dodgers on Fox on Wednesday night, according to the network. 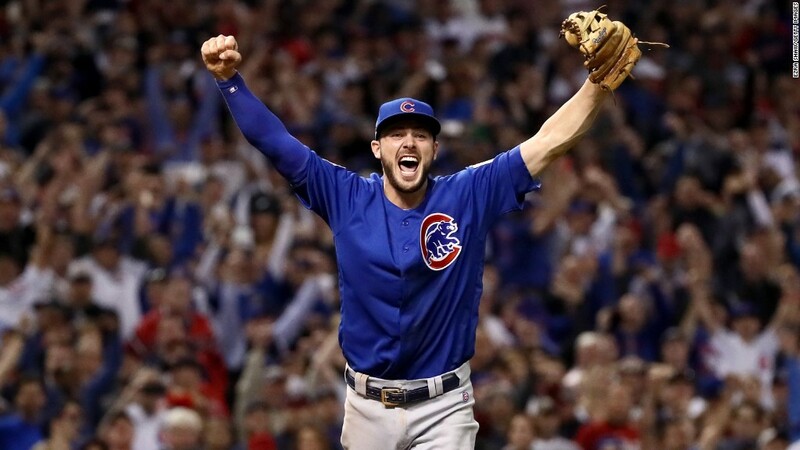 Fox's viewership for Game 7 was down 30% from 2016, but last year's historic Chicago Cubs victory brought in over 40 million viewers. It was the most watched baseball game since 1991. Wednesday's victory for the Astros was the second most-watched baseball telecast since 2004. The numbers are pretty impressive for Fox, considering that the game wasn't particularly close. The Astros notched a big lead early in the game and won 5-1. The viewership for Game 7 peaked at 31.9 million around 10:30 to 10:45 p.m. ET, in the later innings. The entire 2017 series, which had its fair share of exciting and crazy moments, averaged 18.9 million viewers over seven games, according to Fox. This year's World Series was the second consecutive year of good fortune for Fox. The Astros and Dodgers series nabbed the country's attention due to its mix of close games and epic home runs. Last year's dramatic Fall Classic ended with the Cubs breaking their 108 year "curse" in an extra innings match up with the Cleveland Indians.